Kids Heart Challenge (formerly known as Jump Rope for Heart) is in full swing! 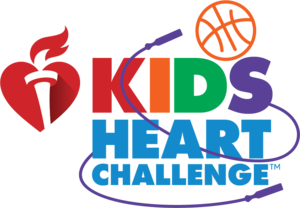 Support your Primary student(s) by registering them to participate online at heart.org/kidsheartchallenge. Students will be learning about heart health education and awareness in P.E. Also, students who raise money will be eligible to receive special thank-you gifts and prizes! The final date to collect donations will be February 15th.